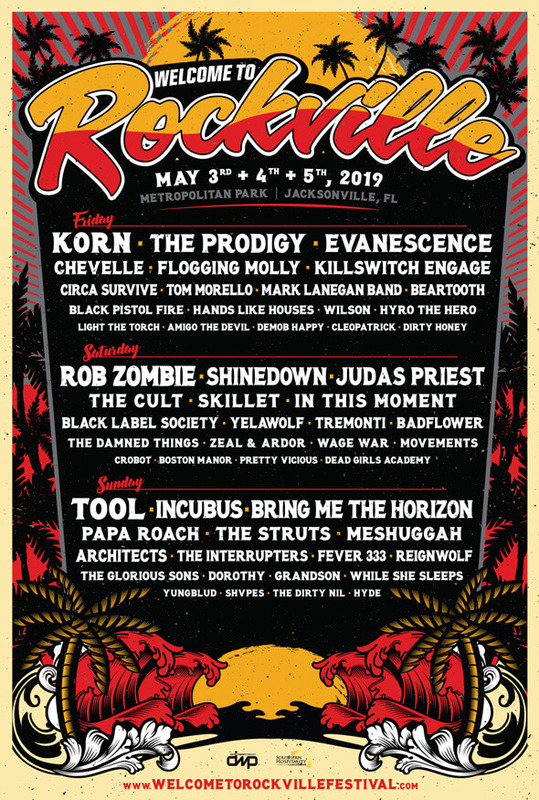 May 3 – 5, 2019, the rock and roll faithful will descend on Metropolitan Park in Jacksonville, FL to bear witness to one of the biggest and best festivals in the country. Rockville has been bringing it since 2011, and bringing it hard! Kicking off the festival season, Rockville 2019 comes out with both barrels loaded. The lineup is deep, featuring Black Label Society, Beartooth, The Glorious Sons, Killswitch Engage, In This Moment, The Struts and so many more. Headlining on Friday will be Korn. Saturday, Rob Zombie. And Sunday, Tool. Tickets are currently on sale. Weekend VIP packages are sold out, but you can still get your VIP access if you purchase each day individually. GA tickets are available in both individual day or weekend packages. We’re only a few short months away, and these tickets won’t last long. ALBORN Releases Official Music Video for "Full Circle"